Paul Gross says he's donating the $25,000 from his 2009 Governor General's Performing Arts Award to the Remix Project, a group that fosters young artists in Toronto. Read more here. Thanks, Claudine! Passchendaele will be released on Region 2 DVD on 25th January. It can be pre-ordered from our amazon.co.uk store for only £8.48. Thanks, Catherine! Video: Paul Gross at Rideau Hall, talking about winning the 2009 Pierre Berton award. Sadly, the sound quality is poor. Thanks, Felicity! Watch a short video of Paul talking about Eastwick here. It's a hard life. Passchendaele's Gross humbled on eve of receiving Canada's top history award - Canwest News Service with pictures here, here, here and here. Thanks, Dee! Reminder: Eastwick starts on the UK Hallmark channel (Sky 130, +1 150; Virgin 162, +1 163; Tiscali 8) on 24th November at 9 pm. They will only consider postcards, so don't waste your time with a letter. Thanks, Dee! You can vote to save Eastwick at E! Online's Save One Endangered New Show. Eastwick is in the lead! 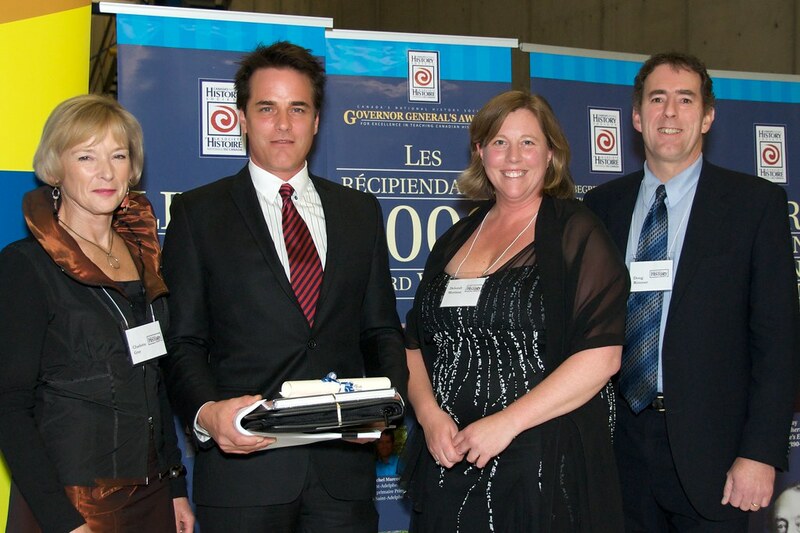 Paul Gross is the recipient of the 2009 Pierre Berton award which he will receive on Friday 20th November from Her Excellency the Right Honourable Michaëlle Jean, Governor General of Canada, at Rideau Hall in Ottawa. Congratulations, Paul! Has news of Eastwick's cancellation left you wanting to saw the president of ABC in half? You’re not alone. “I’m pretty furious, too,” vents executive producer Maggie Friedman. “We have such an amazing group of writers and actors — best people I’ve ever worked with. None of us can believe this is really happening.” ... read more. Thanks, Diane! You can also send an email here. Thanks, Dee! Eastwick has been nominated for a People's Choice Award in the Favourite New TV Drama category. You can vote for it (as many times as you like!) as a guest or member here. Update: Eastwick has been removed from the poll - we don't know why. It is with great regret that we report the cancellation of Paul's current American TV drama, Eastwick. According to TVbythenumbers.com- which cites James Hibberd's live feed- ABC has declined to order additional episodes of the series. The item does indicate that ABC plans to show all 13 Eastwick episodes, though they are not yet sure exactly when they will air. Thanks to Lee for the news. A petition has been set up to stop the cancellation of Eastwick. Check it out and pass it on! Thanks, Lisa! The due South convention for next year now has a name! RCW139:Dueser's Day Off will be held from 13-15 August 2010 at the Toronto Marriott Bloor Yorkville hotel. Registration for the convention will start in November. Rooms at the hotel are now opening for booking and will be available three days before and three days after the convention for anyone interested in doing some sightseeing around Toronto. Thanks, Sonia! Tube Talk Podcast - Paul Gross with the editor of TV Week. Thanks, Dee! ‘Eastwick’ is season’s best new show - New York Post. Thanks, Dee! At the Directors Guild of Canada Awards, Passchendaele won best film ('Team Feature Film') and Carol Spier won for Production Design but Paul missed out on the Best Director award. Thanks, Felicity! Eastwick starts on the UK Hallmark channel on 24th November at 9 pm. Thanks, Felicity! For those fans of Paul Gross who are also fans of classical music, you may want to check out the Toronto Symphony Orchestra on 23rd and 24th January 2010 to hear "Mozart: Beyond the Score" narrated by Paul Gross. Thanks, Dee! According to The Hollywood Reporter, Corus Entertainment has ordered a comedy pilot for "The Yard" from Whizbang Films for its Movie Central pay TV service. The Sopranos-style mockumentary portrays three brothers, ages 12, nine and six, who have wrestled schoolyard power from their rivals, the Guarducci brothers, who plot their own return to the top. Paul Gross and Frank Siracusa are producing, with Dave Eddie and Michael Mabbot penning the pilot script. Thanks, Dee! Paul Gross dons a Mountie uniform again! And if you don't believe us, here's the proof. Thanks, Angela! Paul Gross will be a guest at an event honouring Paul Quarrington this Saturday afternoon, shortly before the Directors Guild of Canada award ceremony in the evening. The ET Canada trailer of Gunless can be seen on YouTube. Thanks, Dee! The first two episodes of Slings & Arrows (1st season) are going to be aired on the Swiss Channel SF1 on 20th November, 4.10 am to 5.40 am. With SF1, one can generally choose between the original language and the dubbed version. However, it seems that this time the series is not aired in the two-lingual mode but in English with German subtitles. Thanks, Corinna! From ‘South’ to ‘East’ - Sympatico Thanks, Felicity! There's a brief interview with Paul in an Eastwick preview at The Electric Playground. Passchendaele has been showing in Scotland at the Glasgow Film Theatre since Friday and will continue until tomorrow, showing at 1.15pm and 6.15pm. Thanks, Felicity! Eastwick is coming to the UK! Thanks, Felicity! Eastwick: The Witches' New Mystery Man is Very Bad + a Meet The Cast video - TV Guide Thanks, Diane! Felicity reports that Paul's popularity at IMDB is up 1,129% this week! Eastwick review - Los Angeles Times Thanks, Diane! Canadian Press video: Paul Gross in "Eastwick" - Whistler Question Thanks, Dee! Meet Paul Gross of ABC's New 'Eastwick' - Kate O'Hare's Hot Cuppa TV Thanks, Wendy! Set Visit Interview: Paul Gross Heads to Eastwick - IESB Thanks, Wendy! Gross braved Passchendaele, now Eastwick - Sun Media Thanks, Felicity! Eastwick review by Brian Lowry - Variety Thanks, Dee! Paul talks about working on Eastwick in the 14th September edition of Maclean's. Thanks, Dee! Paul Gross caught napping in a cactus field! Thanks Dee! Eastwick has an offical website and if you live in the US you can download episodes to watch again. Eastwick pictures here and here. Thanks, Dee and Diane! CBC has ordered a sitcom pilot from E1 Television and Serendipity Point Films based on Paul Gross's Canadian curling movie Men With Brooms ... read more. Thanks, Felicity! And according to The Star, Paul may make occasional appearances. Thanks, Dee! RCW 139: 2010 will take place from 13-15 August 2010 at the Toronto Marriott Bloor Yorkville hotel in Toronto, the site of the last four RCW 139 conventions. More details at the RCW 139 website. Interview with Paul Gross: Star of the new ABC series Eastwick - Our Prattville. Thanks, Melissa! Due South is finally (almost) out on DVD with a German soundtrack! Ein Mountie in Chicago - Staffel 1.1 ~ Paul Gross, David Marciano, Catherine Bruhier, und Beau Starr. Dieser Artikel wird am 3. Dezember 2009 erscheinen. Amazon.de. Danke, Petra! Dee has found some great Eastwick cast photos from the ABC Summer Press Tour event last Sunday. And ... Zydeco? Go here to find out what that means! Thanks, Dee! A man and his mullet - National Post. Very funny! Thanks, Felicity. There's an Eastwick picture gallery at TVguide.com. Look out for Paul in #15, 16 and 20. Thanks, Jean! There are lots of pics of Paul at the 2008 TIFF here. Thanks, Diane! Passchendaele has picked up Directors Guild of Canada award nominations for Team Feature Film, Direction, Production, Picture Editing and Sound Editing - details here. Answers to a recent Q & A with Paul are here. Thanks, Felicity! We knew it all along: Paul Gross is the devil - Thestar.com, with one picture from Pasadena here and another here. Thanks Felicity and Dee! Comic Con: The Eye Candy on YouTube - Paul appears briefly at around the 2 minute mark. Thanks, Yolandie! Here is a video from the "Eastwick" panel at Comic Con. Paul doesn't speak, but watch his face. Thanks, Dee! Congratulations to Paul for making it into the Urban Dictionary. Harem pants are so in. Thanks, Tara! More pics from Comic Con. Thanks, Felicity! The U.S. Television Critics Association is starting the annual "up front" press tour, where the cast and producers of new shows promote their products. Go to TV Guide's website to post a question for the Eastwick cast. Their day at the press tour is Saturday 8th August. Thanks, Diane! On the new Gunless website Paul appears in some of the embedded videos. Thanks, Wendy! Photos of Paul at Comic Con - thanks, Sam! ...one more Comic Con photo. Thanks, Wendy! It has been confirmed that Paul will be attending Comic Con as planned. It appears that a shooting schedule may interfere with Paul's plans to attend Comic Con on Saturday 25th July. A slight change in wording on the Comic Con website could be interpreted as meaning that only Maggie Friedman and David Nutter are actually confirmed as members of the Eastwick panel. Thanks, Felicity! In Eastwick, a new TV series based on the 1987 film The Witches of Eastwick and on the novel of the same title by John Updike, Paul plays the role of Daryl van Horne. In this review he is described as having "just the right balance of charm and sleaze to pull it off. There's a bit of Nicholson in his performance, but thankfully Gross doesn't try to imitate ol' Jack. His devil is a mix of Clooney, Shatner and fluffy-haired '80s hunk (think Lorenzo Llamas). It might sound odd, but it works, and it helps establish Eastwick as fun and quirky ...". Eastwick is set to air on ABC in the US on Wednesday nights at 10 pm ET and on 'A' Channel in Canada. Thanks, Margaret! CBC reports that Paul is in the running for the Pierre Berton Award for achievement in popularizing Canadian history. Thanks Felicity! We have a promo picture for "Gunless"! Thank you, Alliance Films. Eastwick to show on 'A' Channel - cbcnews.ca. Thanks, Margaret! Paul has compiled a reading list for the Toronto Public Library - details here. Canadian Paul Gross lured to Hollywood by the devil - Calgary Herald. Thanks, Felicity! At the 2009 Banff TV Festival, Paul Gross, Mark McKinney and Victor Garber were honoured with this year's top awards. A short video is here. Thanks, Dee! ET Canada visited the set of Gunless to interview Paul - the YouTube video is here. Thanks, Sam! Lots of lovely pics from Gunless here, including some of Paul! Thanks, Dee! According to Variety, Swiss distributor Ascot Elite has picked up Passchendaele for German-speaking territories. Thanks, Felicity! Paul Gross's appearance on the O'Regan Files on Canada's Bravo is available online here. Thanks, Dee! Paul will be taking part in a panel at Comic Con on 25th July. More here. Thanks, Margaret! Paul Gross brings western to Canada - Metro News. Thanks Dee! Eastwick teaser trailers and photos are here! Auf Serienjunkies : "Die Serie „Eastwick“ ist eine Adaption des Buches von John Updike, auf dem auch schon ein bekannter Film von 1987 beasierte. Darin entdecken drei Frauen an sich magische Kräfte, kurz nachdem ein mysteriöser Fremder in die kleine Stadt Eastwick kommt." Danke, Tanja! On Zap2It: Sneak Peek. Thanks, Margaret! On YouTube: Trailer 1 and Sneak Peek and Voiceover by Paul. Thanks, Felicity! Multipleverses.com - Eastwick info and promo photos. TV network ABC has decided to take the pilot of Eastwick to series, with Paul in the role of Daryl Van Horne. Read more. Thanks, Felicity! Paul received his National Arts Centre Award at the weekend. Photos here and here, with Governor General's speech transcripts from 8th May Presentation and 9th May Gala. Thanks, Felicity! Paul's fifth interview of the National Screen Institute series, this time on 'First Time Directors', is now on YouTube. The Spring edition of the University of Alberta's Work Of Arts magazine contains photos and an interview with Paul. Thanks to Felicity for both these stories! The Canadian Press reports that Paul is in Ottawa at the moment. He was on Parliament Hill on Thursday as part of a series of events marking the Governor General's Awards for the Performing Arts. He's receiving his special National Arts Centre award for outstanding contribution to the arts over the previous year at a ceremony tonight, the 8th, and will be feted again at a gala on Saturday. Thanks to Felicity for the news! For anyone who may have missed it before, CBC Radio has reposted a terrific radio interview with Paul Gross and Peter Gzowski from 1996. This interview was reposted as part of a tribute for the 2009 Governor General's Award Winners, so it may not be up too much longer. It contains an early version of "Ride Forever" referencing North Dakota instead of Alberta. Thanks, Dee! Passchendaele has picked up four awards and been named Alberta's best movie of the year at the 2009 Rosies, also known as the 35th annual Alberta Film and Television Awards. A short video roundup clip from etalk:"After celebrating on a family vacation in Japan - Paul Gross turns the big 5-0! etalk honours this milestone with a look back at his incredible career." Thanks, Felicity! Ray Bradbury Theatre - Paul's episode is on in the UK on Friday 1st May at 5.25am on Zone Horror. Thanks, Catherine! For any London (UK) folks curious about Observe The Sons Of Ulster Marching Towards The Somme (Paul played the part of the young Kenneth Pyper back in 1988 - paulgross.org/stage.htm), it's being staged at the Hampstead Theatre from 18th June to 18th July. Details are here. Thanks, Angela! Bravo! presents a new original series that uncovers the full stories behind the artists. In THE O'REGAN FILES, premiering Wednesday 13th May at 8.30 pm ET/5.30 pm PT, journalist Seamus O'Regan conducts in-depth one-on-one conversations with arts luminaries and other prominent figures. Paul's will be aired on 10th June. Full story. Thanks, Margaret! The scenic Kettle Valley Steam Railway will be the backdrop for part of a Canadian movie scheduled for filming later this spring. Jo Ann Reynolds, marketing manager with the steam railway, said the cast and crew of Gunless will spend three days in June filming scenes along the railway bed. Full story. Thanks, ktu! Read Paul's answers from a First Weekend Club Q & A one week ago. Thanks, Dee and Felicity! Paul Gross joins more than 40 other celebrities who have designed/signed plates to be auctioned on eBay in support of the Parkinson Society’s efforts to fund research, support services and education. Other celebrities include Johnny Depp, Jonathan Rhys Meyers, Malcolm Gladwell, Robert Downey Jr., Peter Facinelli, Nickelback, Hilary Duff and many more! Paul’s plate will be auctioned worldwide on eBay beginning 30th April 2009. Please visit http://stores.ebay.ca/parkinsonsociety to bid or www.parkinsonmaritimes.ca to view his plate and more! Paul will be speaking at the Banff Festival on 8th June. Schedule of events. Thanks to Wendy for this. Paul is currently in Los Angeles, filming The Witches of Eastwick. Amanda, an extra, has posted this short report about the set in her blog (scroll down to item #2). Thanks to Felicity for the heads up. The 2009 Genies were announced last night and while Paul missed out on an acting award for his performance in Passchendaele, the movie won every other award for which it was nominated - including Best Motion Picture. As a producer on the film, that gives Paul his first Genie ever. (In a bit of Due South solidarity, former co-star Callum Keith Rennie took home the Best Supporting Actor award - his second - for his role in Normal.) Thanks to Lee for the news! Paul Gross stops short of calling Toronto's filmmaking community a bunch of snobs. He says unabashedly, however, that Toronto's artistic "intelligentsia" has "made trouble in making our artistic output relevant to the population that pays for it." In this one-on-one with Playback, Gross later turns down the critical volume and adds that he likes "cerebral" and festival films, "and watches them." Thanks to Dee for both the following items! "The next interview with Paul Gross at the NSI website is available...it's a really good one about writing!" Front Lines - The Trenches. Claude Guilmain, 2008, 9'45". This short documentary, narrated by Paul Gross and made in 2008, looks at life in the trenches in the First World War. Front Lines features veterans' letters to their families and images from the NFB archives, the Canadian War Museum and Library, and Archives Canada. More of this film is available at the National Film Board of Canada website. "Variety reported today that Rebecca Romijn is joining the cast of "Eastwick" that is based on the John Updike novel, which also served as the source material for the Eighties flick The Witches of Eastwick. [...] For this TV update, Romijn joins the already assembled cast of Lindsay Price, Jamie Ray Newman, and Paul Gross." We have received confirmation that this news is true. We also understand from Wendy that Paul has been cast in the role of Daryl Van Horne. Thank you to both our informants! Many thanks to the web team at The Hour for sending links to the recent interview with Paul and a funny skit they did with him the same day. Paul Gross is this year's recipient of the National Arts Centre Award presented for exceptional achievement over the past performance year. Known foremost as an actor, Mr. Gross is also an award-winning writer, producer, director and singer, and a tireless promoter of Canadian culture. Mr. Gross - whose outstanding work in theatre, television and film has garnered international acclaim - is being recognized for Passchendaele, a sweeping World War I epic inspired by his grandfather's wartime experiences in Canada and Belgium. The $21-million production, the most ambitious Canadian war movie ever made, opened the 2008 Toronto International Film Festival and set records for English Canadian film, grossing almost $5 million in Canada and abroad. In addition to a commemorative medallion struck by the Royal Canadian Mint and a cash award of $25,000, Mr. Gross will receive an original piece of artwork designed by Québec-based artist Paula Murray. CONGRATULATIONS PAUL! The screenplay for Passchendaele has been nominated for The Writers Guild of Canada Screenwriting Award. Thanks to Dee and Felicity for letting us know! At flickr.com there are some excellent pictures of Paul from his recent "The Hour" interview. Passchendaele has been nominated for six Genies: Best Motion Picture (Niv Fichman, Francis Damberger, Paul Gross, Frank Siracusa); Achievement in Art Direction/Production Design (Carol Spier, Janice Blackie-Goodine); Achievement in Costume Design (Wendy Partridge); Performance by an Actor in a Leading Role (Paul Gross); Achievement in Overall Sound (Lou Solakofski, Garrell Clark, Steve Foster); and Achievement in Sound Editing ( Jane Tattersall, Kevin Banks, Barry Gilmore, Andy Malcolm, Dave Rose). 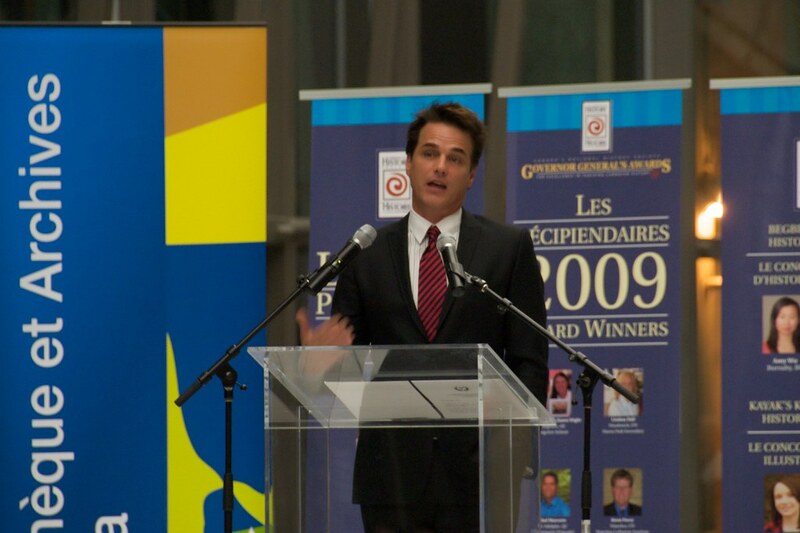 In addition, Paul Gross and producer Niv Fichman of Rhombus Films will be honoured with the 2008 Golden Reel Award offered by the Academy of Film and Television for the highest-grossing Canadian film, and the ShowCanada's prestigious Hector G Ross Award rewarding box-office success. Passchendaele was the number-one Canadian production in 2008, ending the year with a total take of almost CA$5 million. Thanks to Felicity and Dee for this news! The Passchendaele DVD is now available from third-party sellers on amazon.com. Part 2 of the National Screen Institute interview with Paul is now available. (Part 1 is here.) Thanks to Regine! Paul Gross will receive the NBC Universal Canada Award of Distinction at the 30th edition of the Banff World Television Festival, which takes place at the Fairmont Banff Springs Hotel in Banff, Canada, June 7-10, 2009. Thanks, Felicity, and MANY CONGRATULATIONS TO PAUL! Paul Gross will be on The Hour on Tuesday 27th January at 11pm, on CBC. Passchendaele will be screened at the Brandon Film Festival, Manitoba from 30th January to 1st February. There will be a special screening on Friday 30th January when Museum Director Marc George will speak about his experience as Artillery Technical Advisor on the movie. Also on 30th, there will be three draws for copies of the Passchendaele DVD and movie posters signed by Paul Gross. Thanks to Felicity for these news items! Look out for the premiere of ZOS: Zone Of Separation on TMN and Movie Central on Monday 19th January from 10 pm-11 pm. It's an eight part Whizbang Films series, co-executive produced by Paul Gross, about UN peacekeepers trying to enforce a ceasefire in the fictional, Sarajevo-like town of Jadac.